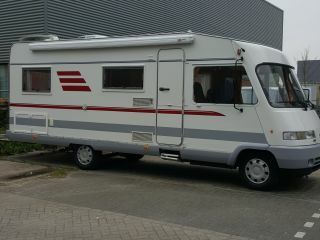 Camper 3 – Camper 3 Spacious 6 person camper with large round seat and double bottom. 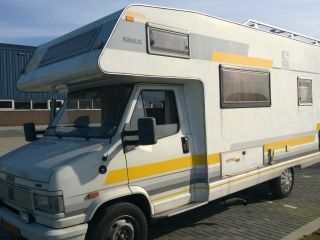 This 6 person's camper has a large kitchen, large sitting area, dinette and 2 sleeping places above the driver. Lots of storage space, double bottom, TV for digitenne, etc. etc. During the high season the rental period is from Saturday to Saturday. In the other seasons in consultation. 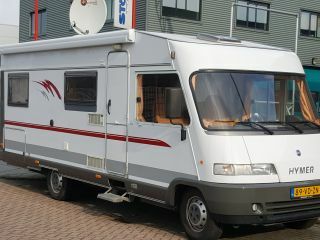 If the camper is not cleaned inside and outside, a fixed amount will be charged. Dogs are welcome, you will pay € 50.00 extra. This amount will not be charged to Goboony, but will be paid upon pickup. On Sunday, it is preferable not to submit or exchange. Daily price is higher than weekly price. It is therefore more advantageous to rent a week. The campers must be returned at the agreed time due to rental thereafter. In case of late delivery, an amount of € 100.00 is calculated.